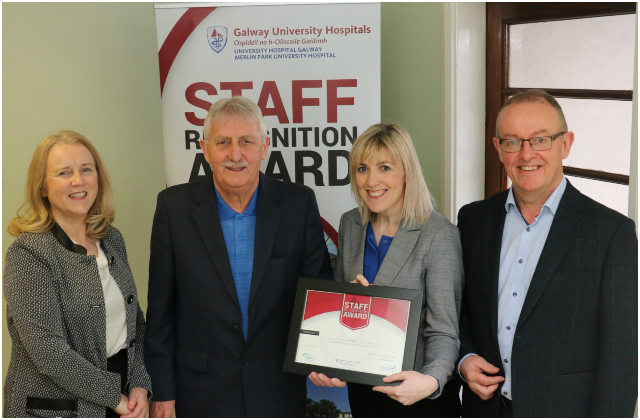 Roscommon University Hospital (RUH) welcomes Niamh Bates, the first Phlebotomist to be appointed to the hospital. 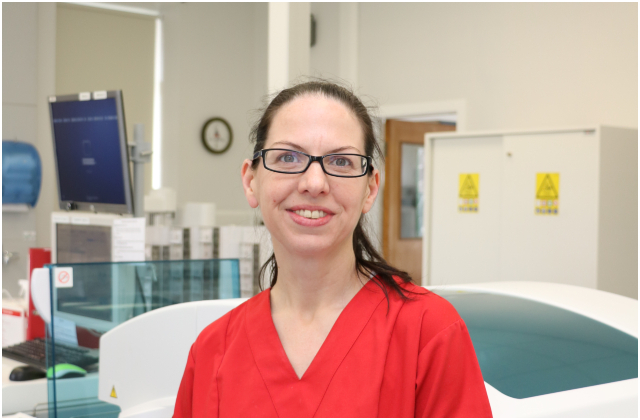 Niamh joins the Laboratory Department and her addition to the service will provide all departments within the hospital with more timely access to blood results. Phlebotomists are trained to draw blood from a patient (mostly from veins) for clinical or medical testing. 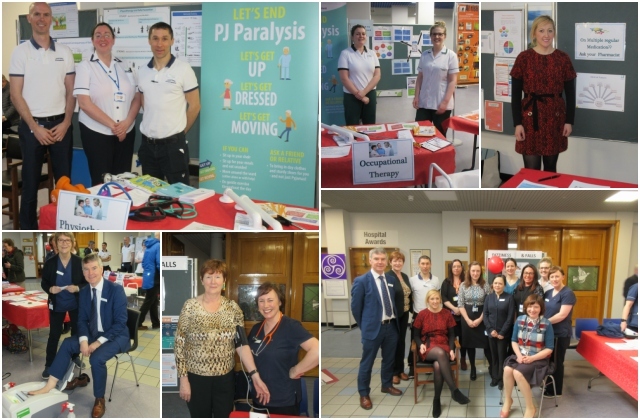 Sligo University Hospital held a Falls Prevention Awareness Event for the public in the main foyer of the hospital on Tuesday 05 March. 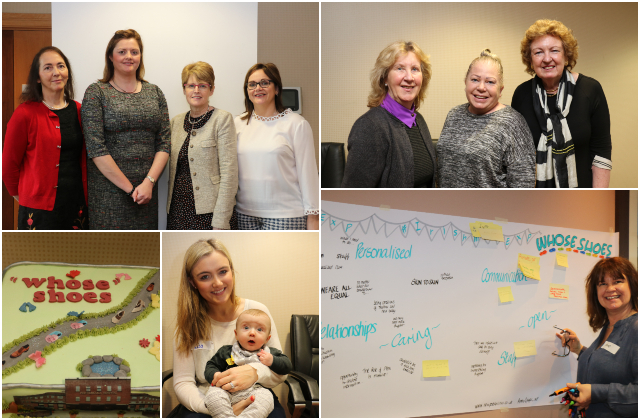 The aim of the day was to increase awareness of the preventable nature of falls and to empower older people and their families and friends to reduce the risk of falling where possible. 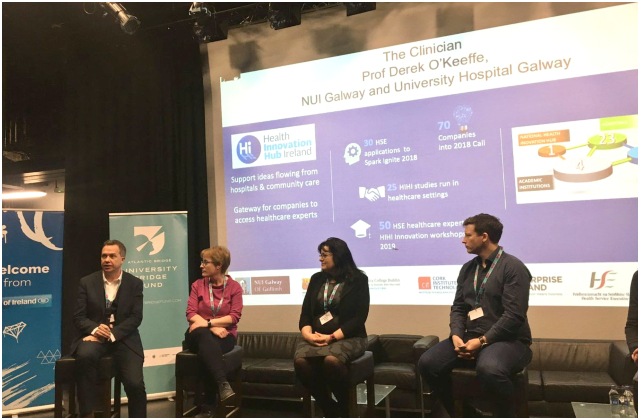 Professor Derek O’Keeffe, Consultant Endocrinologist at Galway University Hospitals (GUH) and Professor of Medical Device Technology at NUI Galway took part in the Medtech Pulse event hosted by the university on 21 February. The event, in partnership with Bank of Ireland and Atlantic Bridge University Fund, offered insights into the medtech sector in Galway including the role of education, research, acceleration and commercialisation. 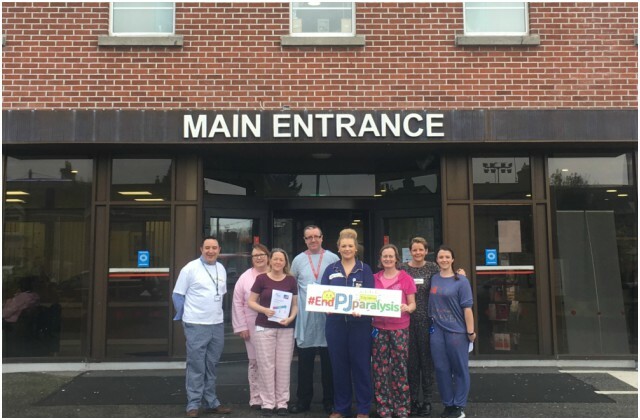 Bernadette Finneran, born in Manchester and living in County Roscommon for the last 30 years has been appointed as a Registered Advanced Nurse Practitioner (RANP) in Plastic Surgery at Roscommon University Hospital. 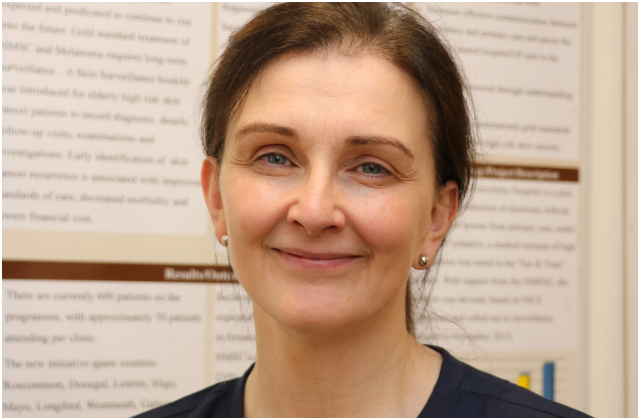 Bernadette is the first RANP specialising in skin cancer in Ireland and is only one of three RANP posts in Plastic Surgery nationally. 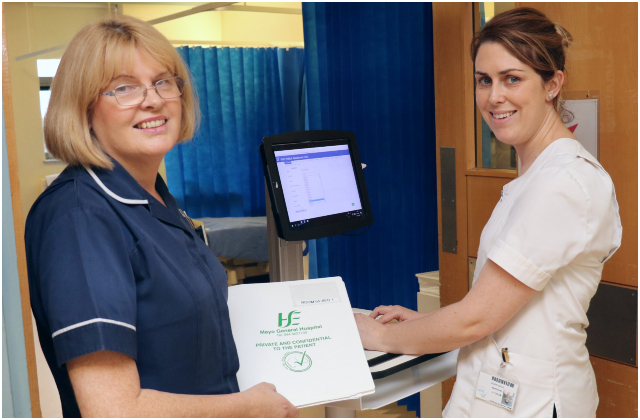 RANPs are the highest level of clinical experts in the nursing profession in Ireland today. 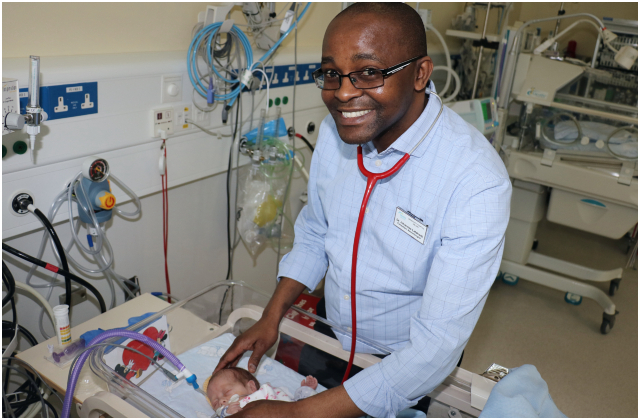 Galway University Hospitals Arts Trust (GUHAT) invites professional practising artists to apply for 3 opportunities in Saolta University Health Care Group hospitals in 2019 – 2020. 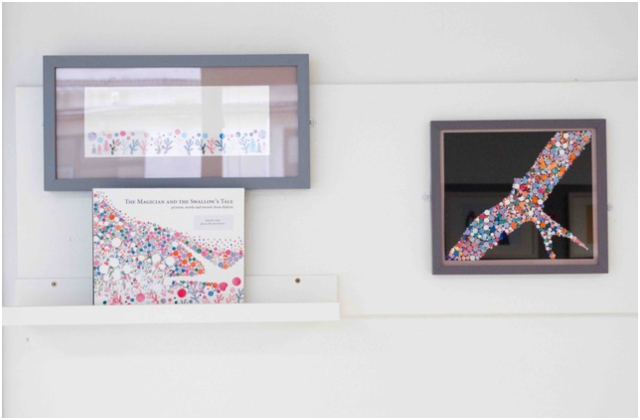 Shortlisted artists will have a practice that is appropriate or can be adapted to the acute hospital environment, and a commitment to participatory/collaborative practice and public engagement.